Country Life’s June 11 issue celebrates all that great about Britain – with special guest writers sharing their thoughts on where and why Britain really excels. Celebrating our landscapes, country houses, gardens, inventions, music, monarchy, food, television, pubs, fashion and much much more, don’t miss this very special issue. Our full list of writers for this issue comprises: Antony Woodward, Barney White-Spunner, The Bishop of London, Boris Johnson, Chris Grayling, David Linley, David Morgan Hewitt, Hugh Dennis, James Dyson, John Hitchcock, John Major, Jools Holland, Julian Fellowes, Lady Bamford, Lord Dannatt, Lord March, Michael Eavis, Michael Billington, Nicky Haslam, Princess Anne, Simon Jenkins, Sir Roy Strong, Sir Trevor Nunn, The Duke of Northumberland, Tom Parker Bowles, Tony Little, and Vivienne Westwood all on our greatest glories. On top of which, we are also revealing our Gentleman of the Year so watch this space to see who wins this great honour! All in the June 11 issue of Country Life. You can also buy the issue on your tablet at www.countrylife.co.uk/digitaledition or online for a hard copy at www.mags-uk.com/countrylife. 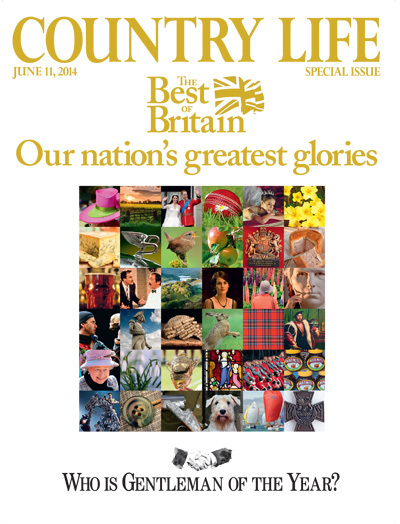 Also rate and review our Best of Britain issue on Itunes and let us know what you think.